Even if it is not the most famous church in Rouen nor the most admired one, the Saint Godard church is one of the oldest since Saint Godard, himself was buried there in 525. At that period this today downtown church was erected outside of the town walls. The current church was erected between the XVIth and the XVIIth century. 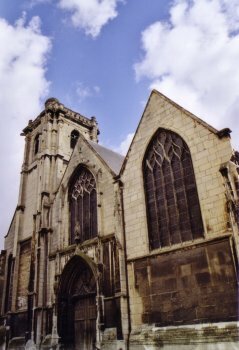 Damaged during the French Révolution, it became again a parish church in 1806.